What is a slab ? A concrete slab is the foundation of a house or building in construction, made using concrete. This is a foundation that is flat, uniform, at ground level, and is not segmented. Without a solid concrete slab, the entire home could become unstable and its use could be problematic. These types of foundation have their advantages and disadvantages in building construction. In the end, using a slab is a personal choice based on the requirements of the owner. The One Thousand Museum skyscraper is located in the city’s Downtown district in front of Museum Park, close to Herzog & de Meuron’s Pérez Art Museum and Grimshaw’s yet-to-complete Patricia and Phillip Frost Museum of Science. Currently built up to the 11th floor, the tower will eventually reach 62 storeıes and measure 700 feet (210 metres) tall once completed in 2018. 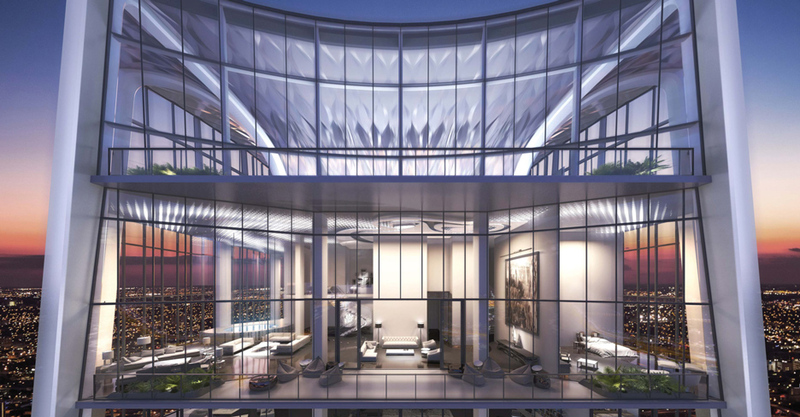 It features a structural “exoskeleton” that curves up the sides of the recessed glass facades, enabling floor plates to remain largely free of internal columns. 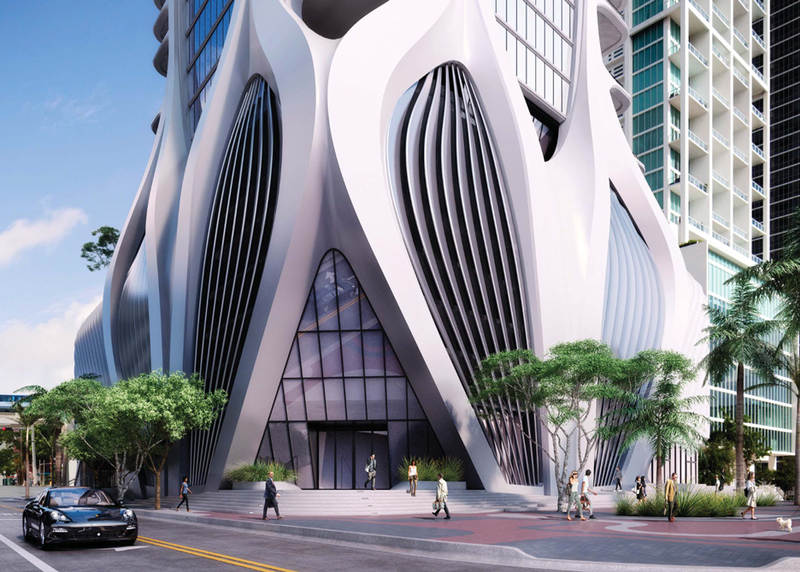 Hadid, who died suddenly in March 2016 while in Miami, also created the interiors for the communal spaces of the building. Her signature angular walls and curved surfaces will feature throughout the reception and spa area. In the 1950’s, the Barcelona architect Oriol Bohigas considered rebuilding a small Pavilion erected to represent Germany at the Universal Exposition of Barcelona in 1929, which was demolished shortly after the closure of the event by orders from the German Government. While there were many voices requesting its preservation, German authorities turned a deaf ear to the appeals. Years later, the building, which no longer existed, was reviewed extensively by architects from around the world using the original plans, black and white photographs and the testimony of those who had visited it. Bohigas’s dream became a reality: the Pavilion that once symbolized the progressive and democratic character of the Weimar Republic, built to host the official reception of the German government for King Alfonso XIII of Spain, was eventually rebuilt in 1986. The project, promoted by Bohigas, was entrusted to the architects Ignasi de Solà-Morales, Cristian Cirici and Fernando Ramos, who pledged to ascribe to the original model, both in the design and unique materials. The Barcelona Pavilion created by Ludwig Mies van der Rohe is considered one of the four canonical works of modern architecture, along with Gropius’s building for Bauhaus, Le Corbusier’s Villa Savoy and Frank Lloyd Wright’s Fallingwater House. An archetypal example of Mies van der Rohe´s maxim “less is more,” the pavilion introduced elements of Japanese traditional architecture, neoplasticism and suprematism. The then novel concepts of open plan and spatial continuity are explored throughout the formal composition of the structure. Sitting on a rectangular podium covered in travertine marble – in the manner of Roman temples – it is divided into three areas: the reception courtyard, the core and a backyard. The vertical and horizontal components that define these areas are freely arranged, but governed by a rigorous geometric order with utmost precision and expertise. 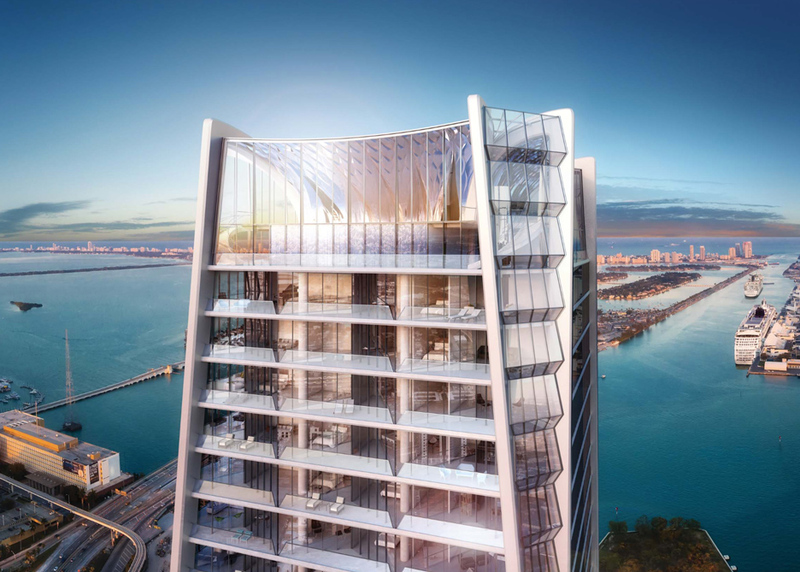 The modern architectural language used in the construction is highlighted through the use of materials such as glass, steel and four types of marble: ancient green from Greece, green from the Alps, Roman travertine and golden African onyx. In the interior, circumspect and minimalist, we find the iconic Barcelona chairs created by van der Rohe, in collaboration with the designer Lilly Reich. Inspired by the sellas curulis of ancient Roman magistrates, the Barcelona chair—with its structure of polished stainless steel and leather– meant an absolute innovation for its time and is considered a classic representative of 20th century modern furniture design. In the south courtyard of the German Pavilion, there is a bronze reproduction of Dawn, a sculpture by George Kolbe, whose curved lines contrast with the geometric purity of the structure. The sculpture is brilliantly located on the edge of a small pond, and is reflected on the water as well as on the marble and glass, creating the feeling that it multiplies through the space. Thanks to the tenacity of a group of enthusiasts who fought for years for the German Pavilion to be rebuilt in Barcelona, thousands of people have been able to enjoy this masterpiece. It is no longer only an object of worship for professionals, but a space where everyone can feel the beauty and serenity it transmits. As part of the Burnham Plan Centennial celebrations, the Burnham Pavilion by Zaha Hadid Architects triggers the visitors’ curiosity and encourages them to consider the future of Chicago. The design merges new formal concepts with the memory of Burnham’s bold, historic urban planning. Superimpositions of spatial structures with hidden traces of Burnham’s Plan are overlaid and inscribed within the structure to create unexpected results. The pavilion is composed of an intricate curved aluminium structure, with each element shaped and welded in order to create its unique fluid form. Fabric skins have been tightly zipped around the metal frame to create the curvilinear shape. The interior skin also serves as the screen for a video installation by Thomas Gray that explores Chicago’s past and future. “Fabric is both a traditional and a high-tech material whose form is directly related to the forces applied to it – creating beautiful geometries that are never arbitrary. I find this very exciting.” explained Hadid. Dame Zaha Hadid, (born October 31, 1950, Baghdad, Iraq—died March 31, 2016, Miami, Florida, U.S.), Iraqi-born British architect known for her radical deconstructivist designs. In 2004 she became the first woman to be awarded the Pritzker Architecture Prize. In 1983 Hadid gained international recognition with her competition-winning entry for The Peak, a leisure and recreational centre in Hong Kong. This design, a “horizontal skyscraper” that moved at a dynamic diagonal down the hillside site, established her aesthetic: inspired by Kazimir Malevich and the Suprematists, her aggressive geometric designs are characterized by a sense of fragmentation, instability, and movement. This fragmented style led her to be grouped with architects known as “deconstructivists,” a classification made popular by the 1988 landmark exhibition “Deconstructivist Architecture” held at the Museum of Modern Art in New York City. Hadid’s design for The Peak was never realized, nor were most of her other radical designs in the 1980s and early ’90s, including the Kurfürstendamm (1986) in Berlin, the Düsseldorf Art and Media Centre (1992–93), and the Cardiff Bay Opera House (1994) in Wales. Hadid began to be known as a “paper architect,” meaning her designs were too avant-garde to move beyond the sketch phase and actually be built. This impression of her was heightened when her beautifully rendered designs— often in the form of exquisitely detailed coloured paintings—were exhibited as works of art in major museums. Hadid’s first major built project was the Vitra Fire Station (1989–93) in Weil am Rhein, Germany. Composed of a series of sharply angled planes, the structure resembles a bird in flight. Her other built works from this period include a housing project for IBA Housing (1989–93) in Berlin, the Mind Zone exhibition space (1999) at the Millennium Dome in Greenwich, London, and the Land Formation One exhibition space (1997–99) in Weil am Rhein. 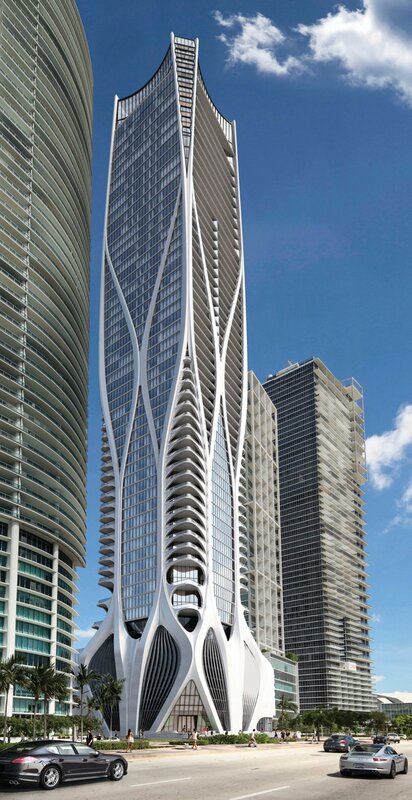 In all these projects, Hadid further explored her interest in creating interconnecting spaces and a dynamic sculptural form of architecture. Hadid solidified her reputation as an architect of built works in 2000, when work began on her design for a new Lois & Richard Rosenthal Center for Contemporary Art in Cincinnati, Ohio. The 85,000-square-foot (7,900-square-metre) centre, which opened in 2003, was the first American museum designed by a woman. Essentially a vertical series of cubes and voids, the museum is located in the middle of Cincinnati’s downtown area. The side that faces the street has a translucent glass facade that invites passersby to look in on the workings of the museum and thereby contradicts the notion of the museum as an uninviting or remote space. The building’s plan gently curves upward after the visitor enters the building; Hadid said she hoped this would create an “urban carpet” that welcomes people into the museum. In 2010 Hadid’s boldly imaginative design for the MAXXI museum of contemporary art and architecture in Rome earned her the Royal Institute of British Architects (RIBA) Stirling Prize for the best building by a British architect completed in the past year. She won a second Stirling Prize the following year for a sleek structure she conceived for Evelyn Grace Academy, a secondary school in London. Hadid’s fluid undulating design for the Heydar Aliyev Center, a cultural centre that opened in 2012 in Baku, Azerbaijan, won the London Design Museum’s Design of the Year in 2014. She was the first woman to earn that award—which judges designs in architecture, furniture, fashion, graphics, product, and transportation—and the design was the first from the architecture category. Her other notable works include the London Aquatics Centre built for the 2012 Olympics and the Eli and Edythe Broad Art Museum, which opened in 2012 at Michigan State University in East Lansing, Michigan. Hadid taught architecture at many places, including the Architectural Association, Harvard University, the University of Chicago, and Yale University. She also worked as a furniture designer, a designer of interior spaces such as restaurants, and a set designer, notably for the 2014 Los Angeles Philharmonicproduction of Mozart’s Così fan tutte. In addition to the Pritzker Prize and the Stirling Prize, her numerous awards include the Japan Art Association’s Praemium Imperiale prize for architecture (2009). Hadid was a member of the Encyclopædia Britannica Editorial Board of Advisors (2005–06). In 2012 she was made a Dame Commander of the Order of the British Empire (DBE). What Is A Scale Ruler Used For ? An Architect’s or scale ruler is designed for use in determining the actual dimensions of a distance on a scaled drawing. Most architectural, construction and engineering drawings and blueprints are scaled to allow for large areas, structures or items to conveniently fit on a reasonable size of paper. Common scales are 1/2, 1/4 and 1/16. These reflect the fractions of an inch that correspond to feet in the full-scale dimensions. To read a blueprint with a scale ruler once the appropriate scale is determined, line up the zero mark with the beginning of the length to be measured. If the distance falls exactly on a line of the ruler, that is the measure in feet. Make sure the correct marks are being read, as most scale rulers have two scales per side for maximum efficiency. If the distance being measured does not fall exactly on a line, the exact measure will be the number of feet corresponding to the nearest line passed plus a certain number of inches. Determining the inches will require a second measurement. Before removing the scale ruler, first mark the appropriate foot line on the drawing. The first inch of the scale ruler is subdivided into twelfths, corresponding to inches. Line up the zero line with the mark representing the foot line of the first measurement, and use the detailed marking to find the number of inches. The full measurement will be the number of feet plus this number of inches. Even with this second step, using a scale ruler is much easier and faster than making complex conversions using math. It also minimizes the chance of error in the calculations. With a little practice, using a scale ruler becomes a simple but essential tool for the contractor and architect alike. Research is a systematic inquiry to describe, explain, predict and control the observed phenomenon. Research involves inductive and deductive methods (Babbie, 1998). Inductive methods analyze the observed phenomenon and identify the general principles, structures, or processes underlying the phenomenon observed; deductive methods verify the hypothesized principles through observations. The purposes are different: one is to develop explanations, and the other is to test the validity of the explanations. One thing that we have to pay attention to research is that the heart of the research is not on statistics, but the thinking behind the research. How we really want to find out, how we build arguments about ideas and concepts, and what evidence that we can support to persuade people to accept our arguments. Description: Results of research can describe natural or social phenomenon, such as its form, structure, activity, change over time, relationship to other phenomena. The descriptive function of research relies on instrumentation for measurement and observations. The descriptive research results in our understanding of what happened. It sometimes produces statistical information about aspects of education. Identifying students who are likely to be unsuccessful so that prevention programs can be instituted. Improvement: This type of research is mainly concerned with the effectiveness of intervention. The research approach include experimental design and evaluation research. Explanation: This type research subsumes the other three: if the researchers are able to explain an educational phenomenon, it means that they can describe, can predict its consequences, and know how to intervene to change those consequences. What are the purposes of research? Basic Research: The purpose of this research is to understand and explain, i.e. the research is interested in formulating and testing theoretical construct and propositions that ideally generalize across time and space. This type of research takes the form of a theory that explains the phenomenon under investigation to give its contribution to knowledge. This research is more descriptive in nature exploring what, why and how questions. Applied Research: The purpose of this research is to help people understand the nature of human problems so that human beings can more effectively control their environment. In other words, this type of research pursues potential solutions to human and societal problems. This research is more prescriptive in nature, focusing on how questions. Evaluation Research (summative and formative): Evaluation research studies the processes and outcomes aimed at attempted solution. The purpose of formative research is to improve human intervention within specific conditions, such as activities, time, and groups of people; the purpose of summative evaluation is to judge the effectiveness of a program, policy, or product. Action Research: Action research aims at solving specific problems within a program, organization, or community. Patton (1990) described that design and data collection in action research tend to be more informal, and the people in the situation are directly involved in gathering information and studying themselves. Identify a significant research problem: in this stage, find out the research questions that are significant and feasible to study. Prepare a research proposal: a research proposal usually consists of the sections including introductory, literature review, research design, research method, data analysis and protection of human subject section, and timeline. Conduct a pilot study: the purpose is to develop and try out data-collection methods and other procedures. Gall, Borg, and Gall (1996) also explained that these five stages may overlap or occur in a different order depending the nature of the study. Qualitative studies which involve emergent research design may gather and analyze some data before developing the proposal, or a pilot study can be done before writing a research proposal or not at all. Research requires commitment. As a researcher, you want to make sure you are doing something that you have a great interest in doing. Based on your own understanding and interest of the topic, think about what issues can be explored? Sometimes, a research problem cannot be immediately identified. But, through reviewing the existing literature and having continuous discourse with peers and scholars, the research problem will start take its shape. Reviewing literature has two major purposes: one is to build up the researcher’s knowledge base of the topic under exploration for a deeper understanding, and the other is to ensure the significance of the research. The researcher needs to make sure how the research will be able to contribute to the knowledge in the related field compared with the existing research literature. The research problem will evolve during your pursuing knowledge base through reviewing literature and discourse with peers and scholars. To specify what questions your research study want to answer helps to provide the basis of planning other parts of your study, e.g. the research design, the methods for data collection and analysis. In the intention of the research study is to verify a causal relationship between certain variables, use an experimental design; if the intention of the research study is to find out how variables relate to one another, use a correlational design; if the intention of the research study is to describe and understand a particular social condition/pattern and meaning of a social experience, conduct a qualitative study. Three major elements in the research study need to be considered: participants, materials, and instruments. Participants: It concerns whom to study. For experimental studies, the researcher needs to consider statistical sampling to make sure that sample is representative of the population, e.g. techniques of random sampling and stratified sampling. For qualitative research, purposeful sampling is the major principle. The selection of individuals, groups, or cases depends on how the characteristics, or properties of the individuals, groups, or cases will best inform the researcher with the focus of what is under investigation. Materials and Instrumentation: For experimental research, operationalization of the variables is the focus, i.e. what are different treatment conditions, and how to measure the dependent variables. The researcher has to consider issues about the reliability (the consistency of the test), and validity (whether the test is testing what is meant to test) of the measurement. The design of the experimental conditions has taken the threats of the internal and external validity into account. The researcher wants to make sure that the establishing of the causal relationship is not influenced by other factors than the controlling factors, and the researcher needs to consider to what extent the results of the research can be generalized to the population beyond the sample under study.For qualitative research, the issues are the sources of data, where the researcher can find the information and what methods the researcher can use to get the information. Qualitative research usually focuses on the verbal information gathered from the interviews, observations, documents or cultural artifacts. The very distinctive feature about the qualitative research is that the researcher is part of the instrument. The recognition of this researcher’s subjective interpretation of the information yields the process of triangulation, which emphasizes use of multiple sources, methods, investigators, and theories to ensure the credibility of the research. Procedures: A procedural planning of how to get approval from IRB, how to get entry to research participants or to the field, how to implement the experimental treatment or to schedule observations and interviews, and how to prepare for write-up. A general outline of the process and a timeline will facilitate the research progress. Different research questions and different research designs entail different analysis method to take. Experimental design employs statistical analysis to give statistical descriptions of the groups in terms of different independent variables and dependent variables, and to determine the significance of the differences whether the dependent variables are caused by the independent variables. On the other hand, qualitative design employs semantic analysis to identify themes, categories, processes, and patterns of an observed phenomenon, and provides rich descriptions of the phenomenon in order to develop a deeper understanding of human systems. Anglin, G. J., Ross, S. M., & Morrsion, G. R. (1995). Inquiry in instructional design and technology: Getting started. In G. J. Anglin (ed. ), (2nd ed.) Instructional technology: Past, present, and future. Englewood, CO: Libraries Unlimited, Inc.
Gall, M. D., Borg, W. R., & Gall, J. P. (1996). Educational Research: An Introduction ( Sixth ed.). White Plains, NY: Longman. Patton, M. Q. (1990). Qualitative Evaluation and Research Methods. ( 2nd ed.). Newbury Park, CA: Sage.